Originally called a ‘tarboosh,’ which roughly translated means head cover, this hat dates back to the time of the Ottoman Empire. It is typically made using red felt with a tassel attached to the top of the cap. When a number of Arab monarchies were overthrown following World War I, the fez was made illegal by the new rulers and those who dared to wear them had their asses tossed in jail. The city of Fes, Morocco was actually quite important to the hat’s existence, as it produced the colouring agent, using crimson berries, to turn the hat red. It was the only place that had access to this hue before artificial dyes were later manufactured. Today, the city is known as the ‘Mecca of the West’ and the ‘Athens of Africa’ and not much is mentioned about the hats any longer. The decline of the fez put it amongst other headdresses that may only be worn for events such as weddings, funerals, or invitations to the royal palace. Many of the male employees at restaurants and hotels in Morocco don the cap to give tourists a little thrill and a trip back through history. You may even get the chance to wear one and snap a few photos, but it will likely set you back a little in the realm of tip money. 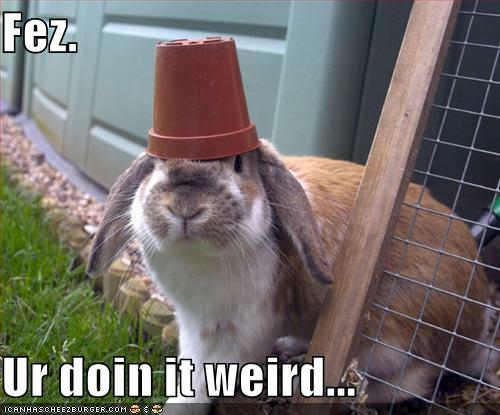 If you’d like to have your very own fez, they can be found online. Most sell for under $20 and come in a variety of colour schemes, but ones involving higher quality materials or with some historical value will set you back a little more, in the $100-$150 range. They can also be imported directly from Morocco, adding some legitimacy to the accessory. Today, the fez is most commonly recognized as being worn by members of the Shriners men’s fraternity. Despite wearing the fez, the group is not associated with Arabic or Islamic culture and is more in line with Masonry. The group can often be seen participating in parades, while driving around in miniature cars, and also advocating for their Shriners Hospitals for Children, across North America. Members have included presidents and other high-profile politicians, star athletes, musicians, and other notable celebrities. Others who have worn the hat include: Aladdin and Abu; Moroccan Mole, sidekick to Secret Squirrel in the 1960’s Hanna-Barbera cartoon; Sallah, from the Indiana Jones films; Magician Tommy Cooper; one of the many Doctor Who incarnations; and a number of Disney Theme Parks characters, particularly at the Tokyo and Hong Kong sites. Steely Dan even recorded a song titled Fez for their 1976 The Royal Scam album. The term FES has also gone on to stand for Foreign Exchange Student, most famously portrayed by the character of that name on That 70’s Show. We never learn Fez’s real name, as the other characters state it’s too hard to pronounce. All we learn is that the first five K’s are silent and his name is made up solely of vowels (which seems to contradict those silent K’s). We also never learn where exactly the character is from and both that mystery and his real name are running gags throughout the series. 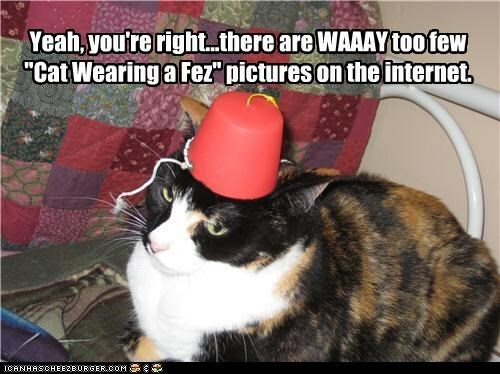 I personally believe that I would look quite fetching in a fez hat. While it would be similar to a smoking cap, I’d use it solely for getting blitzed and dancing around , preferably with a monkey assistant. I know that sounds like a hundred bad stereotypes, but that’s just how we roll at the Sip Advisor offices! Mahia is an interesting spirit in that it’s Fig-based. It has a unique taste that I simply can’t place. Mrs. Sip and I both really enjoyed the Pepper & Sugar Rim and it added an different taste to the cocktail that didn’t overpower. 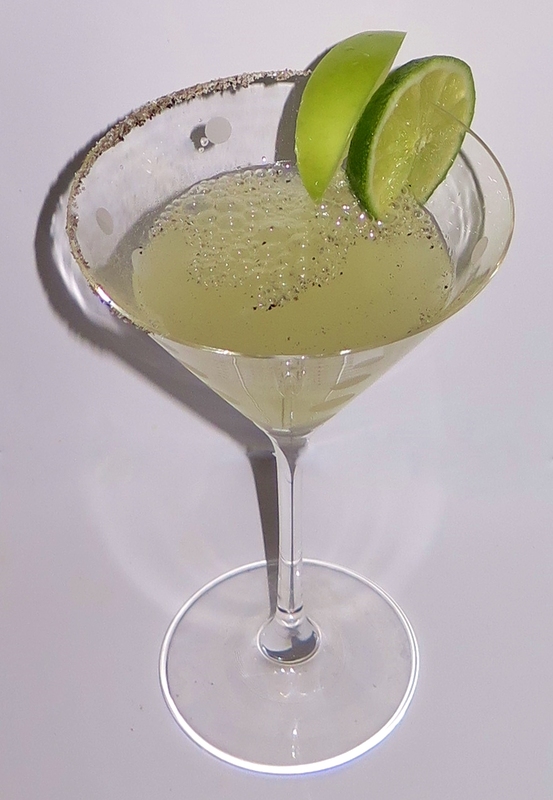 For the citrus portion of the martini, you have the option of Lime Juice or Grapefruit Juice. I went with a splash of both because I like my sweet and sour.